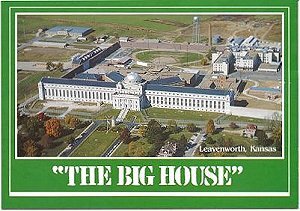 The civilian USP Leavenworth is the oldest of three major prisons built on federal land in Leavenworth County, Kansas. 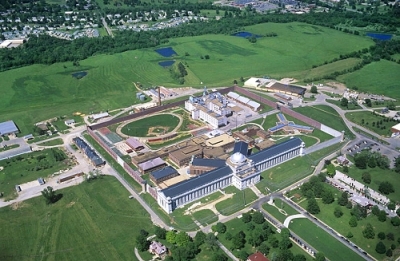 It is often confused with, but separate from the United States Military Barracks, which is a military facility on Fort Leavenworth. The United States Disciplinary Barracks (USDB) is four miles (6 km) north and is the sole maximum-security penal facility of the United States Military. Prisoners from the original USDB were used to build the civilian penitentiary. Also, the military's medium security Joint Regional Correctional Facility, located southwest of the new USDB, opened in 2010. The USDB and JRCF operate independently from the USP-Leavenworth. The prison was described by Pete Earley, the only writer at that time who had ever been granted unlimited access to the prison, in his book, The Hot House. The prison's history has also been covered in the pictorial history titled U.S. Penitentiary Leavenworth by Kenneth M. LaMaster, the retired Institution Historian. Life in the prison was also described by Donald Powell Wilson in his book My Six Convicts: A Psychologist's Three Years in Fort Leavenworth. 1827: Colonel Henry Leavenworth chose site for new fort. 1875: Fort chosen as the site for a military prison. Within a year, Fort Leavenworth housed more than 300 prisoners in a remodeled, supply-depot building. 1894: Secretary of War conceded to the House Appropriations Committee that War Department could do without the military prison. 1895 July 1: Congress transferred the military prison from the War Department to the US Department of Justice. The Department of Justice took over the plant and inaugurated the United States Penitentiary. Commandant of the military prison, James V. Pope. Warden of the USP, James W. French. 1896: House Judiciary Committee recommended that the facility be replaced. 1899 July 1: Robert W. McClaughry was appointed Leavenworth's second Warden. 1901 November 10: Joseph Waldrupe was the first correctional officer to be killed (records dating back to 1901) in the line of duty at Leavenworth. 1903: Enough space was under the roof to permit the first 418 prisoners to move into the new federal penitentiary. 1910 May: The Attorney General approved construction of a separate cellblock for females on the penitentiary grounds—this plan was later abandoned. 1913 June: T. W. Morgan, editor of a newspaper in the small Kansas town of Ottawa, was appointed Leavenworth's 3rd Warden. 1919: Construction of the cellblocks completed. 1926: Construction of the shoe shops completed. 1928: Construction of the brush and broom factory completed. 1929: Construction of the barber shop and first intraprison murder. 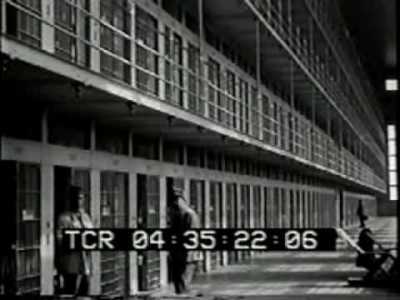 1930 May: the Bureau of Prisons became a federal agency within the Department of Justice. 1930 September 5: Carl Panzram becomes the first to be executed (records dating back to 1927) by hanging at Leavenworth. 1934 December 11: President Franklin Roosevelt authorized the first federal prison industries as a public corporation. 1938 August 12: Robert Suhay and Glenn-Applegate the first double execution (records dating back to 1927) by hanging at Leavenworth. 1944 to 1947: Japanese American conscientious objectors are held at Leavenworth after refusing military service in protest of the wartime incarceration of themselves and their families. 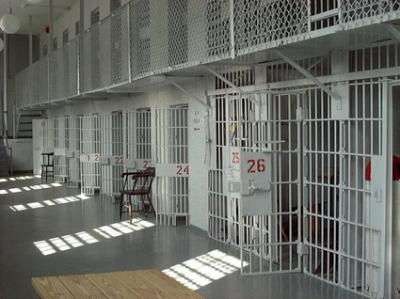 The 1980s & 1990s: The institution undergoes major renovations to three of its four cell houses: A, B, and C. D-Cellhouse today remains the only cellblock true to its original design. 2005: Federal Bureau of Prisons changes USP Leavenworth's Mission. The BOP decided to change the custody level of USP Leavenworth from High / Maximum to Medium while retaining the USP designation for historical reasons. 2011: The Federal Bureau of Prisons takes comments on a proposed new 1,500 medium security and 300 minimum security facility on the current prison grounds on 144 acres to the west of the current prison and a 238-acre area to the east.